Do not ask me why, but for some reason people feel the need to use ‘book holders’ whilst reading. 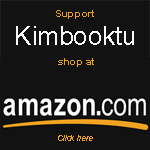 This product, available in many shapes and sizes, keeps your book open when enjoying a book. I have written about a couple before. Whilst browsing the web to find you some nifty gadgets, I was quite amazed by the variety of book holders I bumped into. I will show you some I have come across. To me, this gadget is a mystery. Why do people need a device to keep their book open? It seems more inconvenient to me then handy. Besides that, I am worried about the damage a thing like this can do to a book. If you use one and are happy with it, please leave a comment and tell what you find useful about it. I have to say, I have a book stand in my kitchen. Too keep my cookbooks standing and open whilst preparing something during cooking. But that is a somewhat different product. In any case, here is a small overview of what is for sale. BookGem Book Holder. Click here to find out more. Gimble Paperback Book Holder. More info here. FlipKlip Treadmill Book Holder. To learn more, click here . Easy Grip Book Holder. To be found here . 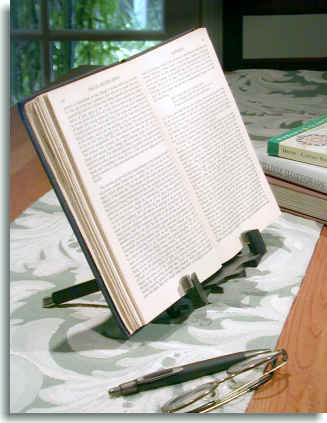 For other book holder options, check out http://www.displaystands4you.com. The BookHug is especially good for holding cookbooks open on the counter. I’d use a book holder when I’m eating and trying to read simultaneously…you know, multitasking. But generally, the book holder ends up being my plate, or some other device, maybe a tape dispenser, just something to hold the book open while I use my hands for other things. Now, if I could just read my book and knit at the same time…. Hi! I just found your site by accident, and love it! I use book holders because I have an injury to my right shoulder that makes it hard to hold books for any length of time. And if it is a book that is not purely pleasure, I like to use a book holder to free up my hands so that I can take notes, write quotes from what I am reading, etc. Somewhat differently, I built myself a book cradle for holding some of my books — then again, other than cookbooks, most of my books are both antiquarian and not-just-for-show, which means that I do read them (and sometimes like to knit or otherwise do handwork while reading them) and that they do hold themselves open quite well, so the cradle’s so that they hold themselves open at just the right level (so that I can read the pages but they’re not at 180 degrees or otherwise causing spine damage). These things are a God send when trying to write essays with about 20 books open that keep closing. Well maybe not that many, but they are great instead of having to balance empty mugs and rubbers on the pages to stop them snapping shut. You are lucky that you cannot see a reason for book holders. People with medical conditions such as arthritis in the hands and/or wrists cannot enjoy reading without suffering pain as they struggle to hold a book. Book holders for these people are so much more than just a convenience. I hope your good fortune continues. I assume you have never spent multiple years in college or grad programs, particularly in a field such as Literature or History. I created a book holder for myself out of a hanger because, like many students, its very difficult to type while also holding a book open to a certain page. Weights placed on the book to keep it open often obscure the words and simply are cumbersome. 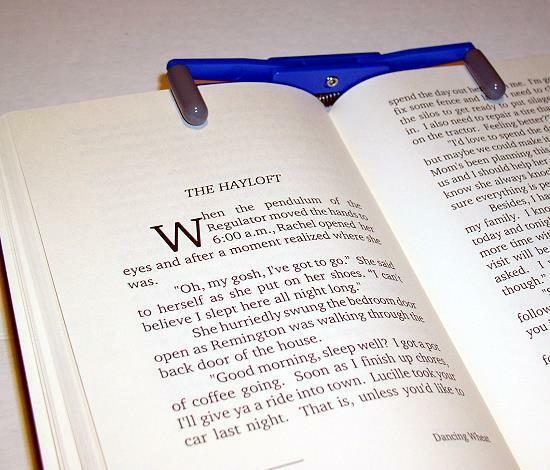 But the wire hanger book opener keeps my books open, easy to read, while I type with two hands. It’s a huge time saver. I only get to read on my lunch break when I’m busy eating. I eat low carb, so not many finger foods at my disposal.